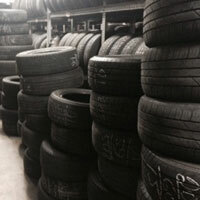 Davis Wholesale Tire has any tire type you need for small cars, SUVs, vans, trucks, and utility vehicles. We service anything from 18-Wheelers to tractors! We will help you find the best tires for your vehicle and desired performance whether you need to replace one or all four tires. We only carry top of the line, trusted brands in our shop. The most common tire type, standard with most vehicles, they handle most road conditions. They have deep water channels for wet traction and a hard rubber compound for a good lifespan in warm weather. For cold, ice, wet weather, and snow, these are optimized for handling slippery conditions. They can also be used in dry conditions. For rough and tough vehicles that can be driven off the road, we have off-road tires. Most often seen on trucks and jeeps for sports riding, camping, and parking in the woods, fields, or a desert, these tires have stiff sidewalls for resistance against puncture. The tread pattern is spaced wider to help remove mud from the tread. 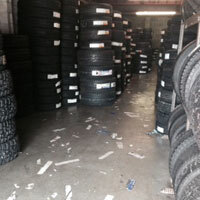 Davis Wholesale Tire has sizes ranging from 31 to 285 in width. Sizes are further based on aspect ratio, radical, wheel diameter, load index, and speed rating. If you are not replacing all four tires, be sure to match the size of the tires you are not replacing. You cannot mix different sizes as it will result in an uneven, unsafe ride. These tires give you the confidence to enjoy the road and keep you safe behind the wheel. Their motto is “a better way forward”. They build tires for all types of cars and trucks. A leader in tire technology, they are dedicated to developing the most advanced tires and providing world class service. They have high performance and touring tires in addition to our other categories. Built by driving enthusiasts, they give you grip and control for spirited driving demands. They have a motorsport line you won’t find anywhere else. Firestone innovates, wins the race, and makes driving easier and safer. Since 1961, Uniroyal has made affordable, durable tires beginning in Connecticut. 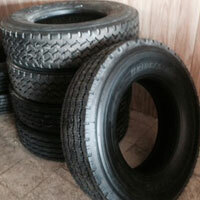 These tires have great handling, traction, and performance. Founded in 1898 in Ohio. Their tires offer a better ride, handling, and tread wear with reduced weight and rolling resistance, along with improved appearance. Davis Wholesale Tire has other brands as well, so if you have a certain brand or tire style in mind, ask us and we can find it for you.